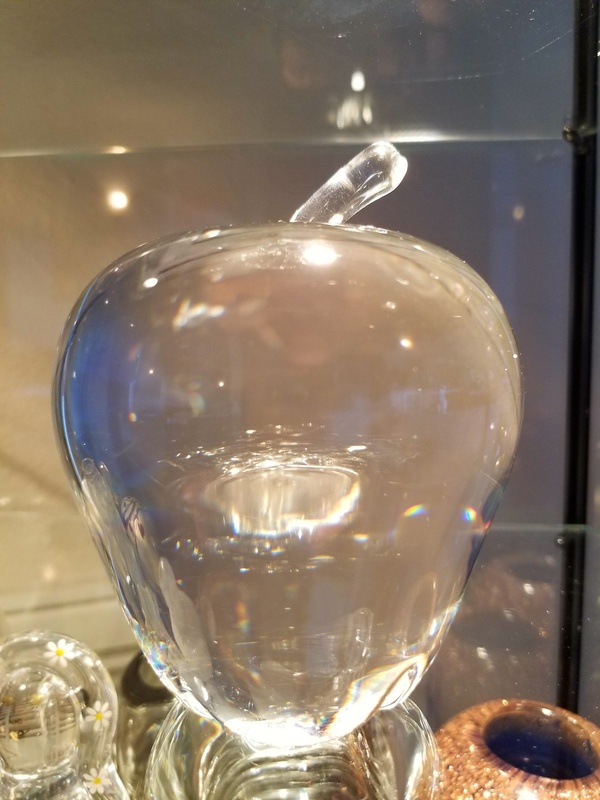 In Art Glass > Steuben Glass > Show & Tell. 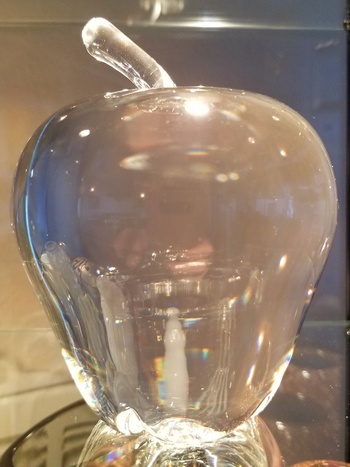 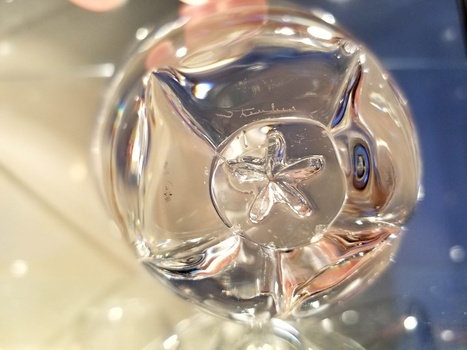 A crystal apple by American glass manufacturer, Steuben. Designed by Angus McDougall, Apple has been a featured piece of Steuben Glass since 1940. The hand etched Steuben brand mark is visible on the bottom of the piece.